We are excited you are considering joining the Junior League of Northern Westchester! Do you want to make a difference in the Northern Westchester area? Do you want to try new things and learn new skills? Do you want to build on your existing talents? Do you want to make great friends who share a common goal of helping our community? If any of the above sound like you, then the Junior League of Northern Westchester is for you! For more than 65 years, the women of the Junior League of Westchester have been making a difference in their community – and doing so while making friends and developing their own potential. We would love to show you how the Junior League of Northern Westchester can benefit you! We welcome new members into the JLNW twice a year in October and March. The Junior League of Northern Westchester thrives with the enthusiasm of new members. We reach out to women of all races, religions and national origins who demonstrate an interest in and commitment to voluntarism. If you are interested in making a commitment to volunteering, we would love to have you to join us! Who Can Join the Junior League of Northern Westchester? 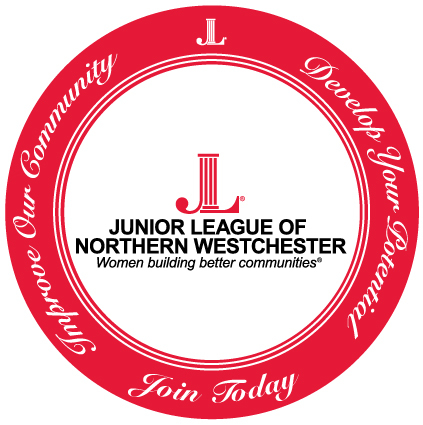 To be eligible to join the JLNW as a new member, a woman must be at least 21 years old as of May 31 of the new League year and must live and/or work in Northern Westchester County. There is no sponsorship requirement to join the Junior League of Northern Westchester, just an interest in volunteer service. Any woman who meets these criteria is warmly welcomed. Click here for a New Member Enrollment Form. Click here to view the New Member requirements. The JLNW has developed a New Member Program which encompasses both formal training and practical experiences that will enable new members to become successful League and community leaders in the future. New members will attend an orientation meeting that will familiarize them with the history and structure of the JLNW. Over the course of the following year, new members will rotate through current JLNW committees to gain exposure to our community projects and the internal structure that supports our work in the community. New Members are encouraged to attend monthly new member meetings, as often as possible to meet other members, learn about our ongoing programs and participate in training activities. Joining the Junior League is a great way to improve the Northern Westchester community while making lifelong friends! New Member orientation meetings are held in October and March. Click here to view the JLNW brochure. For more information about joining, please email us at info@jlnw.org.